5DmkII 2.0.4 firmware bug with Canon F2.8L IS 100mm Macro lens and it seems many others! This has been reported by a number of people I know but I haven’t tried it yet! When using the Canon 100mm Macro IS F2.8L in manual focus mode the iris changed on it’s own. This happens only with the new firmware, not the old 30p only version. It happens in stills and video. For much more info please visit the 5DmkII improvements team’s website. From the looks of the comments it seems many other lenses are suffering from this too. Damn! Please check the full detailed report to understand in what mode this issue occurs. The REAL problem occurs in “Movie Display” mode, which is the correct mode to get “full manual control” in movie/video mode. Note that “Exposure simulation” can give this apparently buggy behavior, but it is normal because it’s not “full manual” on movie mode. Funny you say that, I noticed the same thing with my 7D + 35mm f/2, when adjusting the aperture it sometimes goes smaller when I dial it larger and the other way around. With previous 1.1.0 firmware I’ve this problem with 24-70 f2.8 L (no more with 2.0.4 firmware). nope – it’s more widespread. i have same problem with canon 100mm f2.8 macro. Been testing the EF 100mm f/2.8 Macro USM lens with a 5D MK II for two weeks now. Had no exposure bugs so far, but i’ve experienced a LOT of those so-called weird noises (and i’m dealing with the real thing. No third parties lenses). Guess it’s all because of the Hybrid IS? No, it’s not because the Hybrid IS system. P.S. : Please Philip, check why our previous post on this thread is not appearing as “awaiting moderation” (maybe the system took it as spam?). The Canon 180mm f3.5L Macro is affected the same way. When racking focus you can hear the iris click and change exposure. Have you noticed this as well with 2.0.4? Let me correct you Philip. As everyone can see on this vídeo the lens that is having some problems, is the first version of 100mm macro, without IS. You need to see the clip until the final, when they show the lens. I believe its the exposure simulation mode. Ive been able to recreate it without using 100 macro(i dont have that lens so i used a 17-40 L) if you switch it to movie display mode i notice it doesnt happen. No, it’s not exposure simulation mode. Please read the full detailed REPORT, which also includes two videos showing everything. After 1 week of tests we have confirmed it. Several users have tested with many different copies and camera bodies and found the exact same result. So we concluded without a doubt it is not an isolated lens or camera problem at all. We cannot confirm yet if the new “L” version has the same problem. But we received reports from many users about other lenses (especially from 3rd party) with similar behaviors. We discarded some of them due wrong camera settings, but others seem to be real issue. This malfunction is NOT exclusively to the Hybrid IS system. There is an explanation of the EXACT situation and settings where it occurs. We must say we have never seen any lens with this behavior with previous firmware versions (Canon 24-70 2.8L worked and still seems to work fine). Maybe this issue also happens on firmware 1.2.4. but since firmware 1.2.4 wasn’t widely adopted nor even tested by the community nor this Team, we cannot confirm that at this moment. NOTE: As we wrote in our report, we understand the HUGE work that Canon engineers have done with firmware 2.0.4. To fix this malfunction is a priority, but we SINCERELY hope Canon take this chance not only to fix this issue, but also to add a bit more fixes/improvements, so much requested by thousands of users since more than 1 year ago (that CAN be made via Firmware, even VERY easy in many cases). Thanks a lot to Canon and everyone supporting. P.S. : We also expect a new update in near future. All I am saying Philip is that I can not emulate the problem and the lens mentioned in the article is a different lens. I mean no disrespect. BTW, who else had a problem with the IS version (numerous people)? I cannot find any specific comments online… Thx. Philip I just tried my lens with and without IS and I think that makes this defect!! It’s happening on my non-IS 100mm macro. Very strange indeed. Hope Canon will address it soon. Have exactly same problem with Canons new ts-24! Those lens are friggin’ nervous!! Loud motor …….almost like the motor is working O.T on my canon 70-200 IS f2.8 when 5d is engaged in live mode. Anyone else have this problem? Phillip you have the same lense, any problem? Thanks guys and I hope they fix this. I wouldn’t know if it was like this on previous firmware as I did not use 5DII until they were able to do 25fps. We would like to know more about that. Are you sure you have set Live View to “Stills+Movie-Movie Display”? If so, please could you explain step-by-step all the procedures to reproduce what you describe? Include all camera settings please, so we can check it too. We updated the Report, including the link to a video that one reader has sent to us. He tested his Canon 300mm F/4L IS, showing the same issue. Proving this is not only related to Macro lenses. Please check the updated report, and watch the two videos included: one showing the iris jitter, and another the image suffering from that jitter. We feel confident that Canon will fix it at some point. We really hope this also encourages Canon to take this opportunity fix and add some features (many of them are really easy, and hugely requested), why not? It is a GREAT chance to demonstrate once more that Canon is really listening to customers, and doing their best, being steps ahead of the competition. That’s our hope, because we love this camera and know its huge potential. If someone do a video test on other lens to show the IRIS jitter, following all the correct settings and showing full details, please feel free to contact us. We might post other lenses tests too if they show a real issue. Please note this is a firmware issue, not a lens issue. But it’s only noticeable with some lenses, most of them “Macro”, but not limited to that kind of lenses. They better fix it soon..
sorry im not the greatest narrator but it shows the problem. thankfully people are on it. lets hope they fix it!! cos i like this lens a lot! Have I just wasted my money on this lens?! Did you report the malfunction to Canon? Please note this is a Firmware issue, not a lens issue. The lens is great. We are confident Canon will fix it, but the more customers reporting the issue, the better..
Was about to purchase a 5D mk11 body to use with my Olympus om zuiko lenses but presumably this iris changing problem will still occur with these lenses too whenever I pull focus? In that case I may have to settle for the 7D and sacrifice the frame crop, which seems a shame as I’ve got some nice wide primes. Though judging by an earlier comment something similar also happened with the 7D! ? ? Anyone ? If you use “manual” lenses (with aperture ring), on which the camera has no aperture control, then you won’t experience any iris issue at all. Please check the reports if you still have any doubts. We posted video tests with 3 different lenses and reported 2 additional affected ones. But please note this is a firmware issue, mostly affecting “macro” lenses and some very few other non-macro ones. 5D Mark II is a GREAT camera, don’t let only this issue change your final decision. We are confident Canon will fix it, because it’s a real malfunction. But maybe Canon doesn’t make any official statement until the fix/new update is released.. It seems Canon is aware of this problem, as we report in our latest post. We will publish more news when we get them. We are also working on an additional report regarding an improvement (not a bug!) on the latest firmware. has anyone suffered an audio fault with the new firmware. I was filming for a good hour with the 5DmkII with the 70-200 2.8 L – everything ok for the first 20 minutes – then a horrible loud permanent clanking audio sound throughout all recordings appeared on the rest. Im sure I hadn’t touched/altered the audio levels just by holding the camera! Never heard about something like that, nor experienced anything similar! what about jerky 24p videos rumours? stuttering or dropeed frames? If you analyze the footage “frame by frame” on your NLE software, you won’t find dropped frames (or duplicated frames). That can you give you full confirmation the footage is fine. Instead, we found the refresh rate of your display is a key factor when you see “stuttering” issues on your footage when played back. If you set the refresh rate of your monitor/display to 75hz and playback a 29.97fps (30p) 5D2 footage, it will appear with noticeable (“randomly”) stuttering. We tested this on many displays and found it’s amazing how it can change the showing experience. 25p recorded by 5D Mark II and played back on a 100hz monitor/display looks smooth as 25p should be. Besides of that, we found a specific improvement (at every frame rate). We’ll write about it on our Blog. Actually it does do actual, true, 100% real frame drops at times, almost like it suddenly does a little book keeping and you get a hitch like a video game that is not carefully programmed and decides to do some disk access or memory allocs or something and hitches the frame from time to time. It seems to be easier to get it happen if you do a bunch of really fast pans, maybe it sometimes overwhelms the compressor or something? It appears to be exceedingly rare if you are shooting without panning or only doing, ever, very gentle pans. Perhaps panning over alternating bright dark like tree trunks in teh winter quickly in 24p makes it most likely? Hard to say why it will be perfect much of the time and then suddenly drop some frames. i was about to buy a mark ii instead of 7d. but debates like those (http://www.cinema5d.com/viewtopic.php?f=56&t=11949) confused me. now, which one is right choice? i really don’t know. and i think its hard to believe that a forced and later on firmware upgrade for 24p can be succesful as 7d’s “feature 24p”. just got a new lens 120-400mm sigma and its all good exept when i zoom in i see the iris change. well im not zooming much so its not an issue really. but i think it shows that there is something going on that should not happen. well just wanted to let you know.im sure when they fix the issue with the macro lenses that will be salved too. is it a constant aperture zoom? if not then that is your problem as you zoom in the iris stops down! If you read this post, please specify what exact lens is that yours. is there anyone who knows if it’s also effecting the nikkor lenses used via adapter? I am not able to comment on information posted on third party websites. on the Canon USA website at http://usa.canon.com. We’ll be updating as soon as news come up. “Thank you for your email reply. Be advised that Canon Europe have not issued such a release regarding “Iris Jitter” thus far and as such I cannot give you an estimated release date for a quality issue that has not yet been publicised by Canon Europe. If such a statement is made in due course by Canon Europe, it will be published via the FAQ section of the Canon Europe website. Hopefully you have been sufficiently informed but should you have any further queries, please do not hesitate to reply directly to this email by navigating to the link below. I don’t really see any sort of a clear pattern emerging. 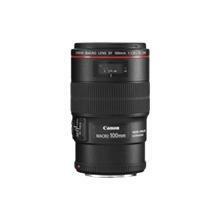 I have several L-lenses from Canon but have only experienced the problem with the Canon F2.8L IS 100mm Macro. I have a 7D. It’s actually quite annoying and a pity, since the lens is very good otherwise. Feel free to give your feedbacks. What we only request is to be as accurate as possible, giving full details on your findings. Regarding the 7D, we would need some users to do the tests and make a video to show the problem (we can post only youtube videos). Don’t forget to report it to Canon. We can confirm with 100% accuracy that some lenses are affected by the IRIS jitter WHEN ZOOMING on firmware 2.0.4. Aside the fact that the light decreases in a non constant aperture zoom lens when zooming, some zoom lenses also suffer “IRIS JITTER” when zooming in and out (ironically they seem to be not affected while changing focus). Indeed, we will keep updating this, because it’s 100% clear that this issue DOES EXIST, and is affecting lot of lenses and not only Macro lenses, and Canon USA is still not giving a clear answer. WE HOPE CANON FIX IT SOON. This “iris jitter” issue appears not only while changing focus in some lenses, but now we also confirmed it occurs while zooming in and/or out on some lenses. We’ll probably post a new report about it, with a video example. We encourage all users to politely REPORT it to Canon with full details CLEARLY explaining that you ARE experiencing this problem and not only re-reporting what a website is telling. (To help users, we provide full Canon contact information at our blog). The IRIS jitter is VERY easy to reproduce with a 100mm 2.8 Macro lens (even easier with non-L version), but also with the lenses listed on the Blog post. So there is no chance to delay the investigation and work to fix it. We reported it with full details and videos one month ago… And we’re still updating the information to help Canon and Canon users. IF the zoom is a “constant aperture” lens and it suffers some kind of iris change/jitter whilst zooming or focusing, then that could be an issue or abnormal behavior that needs to be investigated. So far, there are VERY few reports of that kind and we couldn’t confirm it. HOWEVER the “iris jitter” reported when using 100mm 2.8 Macro lens (and some other lenses) IS a real issue/malfunction that needs to be fixed. Sorry for the previous wrong post. We updated and corrected our Blog post as well. This problem was happening a ton to us on a shoot with the Canon 50mm f/1.4, with no focus, light, or other changes…just seems to happen randomly. Noticed this problem a TON in the footage for a shoot we recently did. I believe it was happening with the Canon 50mm f/1.4.